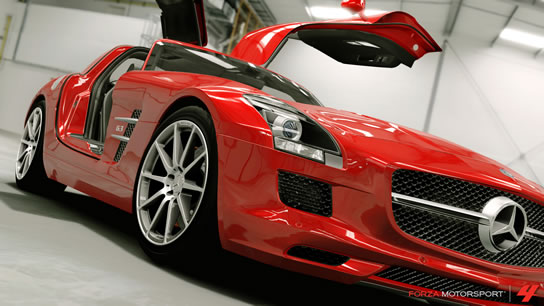 In December a Forza 4 car extension pack will be released. IGN’s and Microsoft’s team have joined forces to create a 10 car pack. 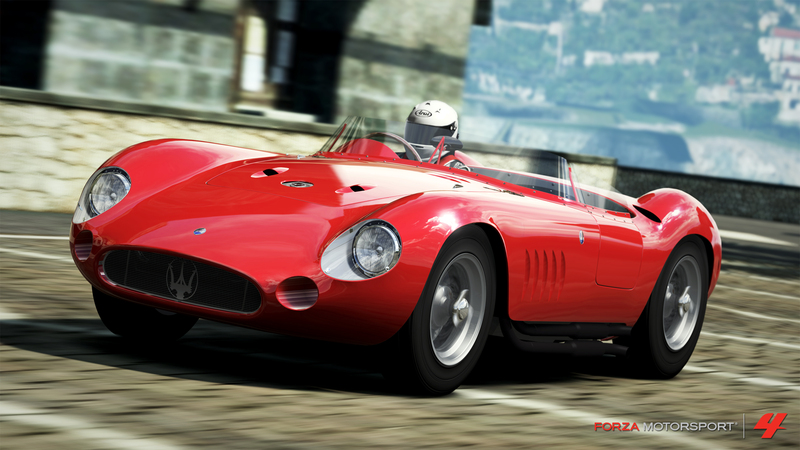 The new rides include the classic 1957 Maserati 300 S. It will be released on December 6 and will cost 560 Microsoft points ($7) but if you have purchased the Forza Motorsport 4 Season Pass the pack is free! A Season Pass will cost you 2400 Microsoft points ($29.99) at Xbox live Market place. It guarantees you access to the six planned addition packs and more! I wouldn't mind one of these beauties! You will spot clearly better visuals, some of the best at the moment. With additional track side elements showing themselves. Brighter, more aesthetically pleasing scenery. Complementing 7-11 cars battling it out to win. Cornering, Overtaking, Drifting, Slipstreaming, Tailgating, Speed etc. now get awarded by badges, which you can attached to your racer profile. Now when you level up, you get to choose from a selection of cars; you don’t get forced upon one. You have a 500+ garage to choose from, which will keep you busy for a while. Handling is ‘The pinnacle of the console driving experience’, each car handling differently. Using ‘Kinect’ with this game will make it much more enjoyable, as it will feel more like an intense simulator than a video game. You can play around with doors, bonnets, engines, etc. If you want, listen to a small monologue about the car and its parts from Jeremy Clarkson. A new ‘Autolog’ rival system such as in ‘Need for Speed Hot Pursuit’ (another good racing game) has been put in to increase competitive spirit. There is a club system like ‘Clans’ in CoD were you can gather racers together and share cars and other resources. You can assign roles like tuner and vinyl designer and obviously take on other clubs! This looks like a truly breath-taking game, one which I hope to play, it will be on my christmas list! The graphics and exotic locations really do it for me. The diversity of cars and difference between them looks awesome!